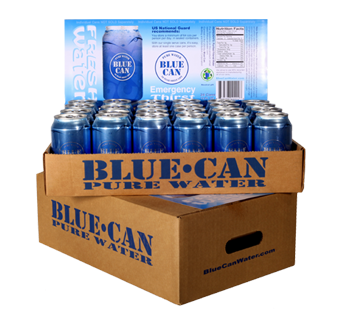 Each case of Blue Can Water contains 24 cans, which is 288 oz or 2.25 gallons per case. The box is made from double-thick cardboard, making it perfect for storage. The water and packaging comply with standards for purified drinking water with a 50-year shelf life. 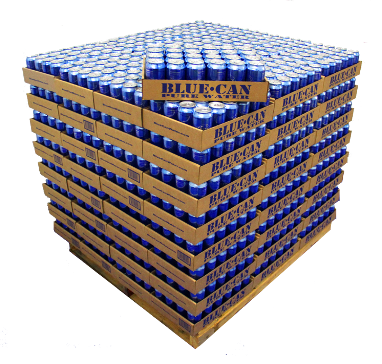 All cans are also made of corrosion-resistant aluminum and are hermetically sealed. Make sure you have water for your car, boat, or RV. 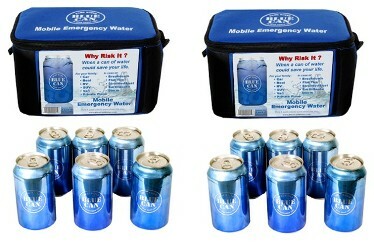 Our emergency water always stays cool and fresh, even in a hot car! Every Pallet is sealed in multiple layers of plastic. All pallets come with corner bracing for added strength.